Chinese ecommerce giant Alibaba has unveiled Mashang Tao, a new platform that lets brands and merchants create QR codes that can be used to make purchases in stores, online and from printed advertisements, as well as provide a range of value-added services to consumers. Pepsi and Tsingtao Brewery will be the first to make use of the platform by placing QR codes on 1.6bn drinks cans that consumers can scan to enter a prize draw. Hudong Ma: These codes will redirect consumers to merchant-sponsored games and other services. Scannable codes will also give shoppers on Taobao Marketplace and Tmall.com access to improved customer service by allowing them to scan codes to contact after-sales support staff or download product manuals instantly. 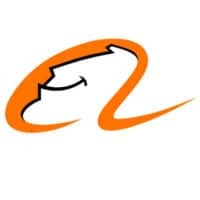 Alibaba will be integrating the technology into various other parts of its platform, including product listings, customer service, logistics and marketing activities to enable a more “interactive and holistic consumer experience” for its hundreds of millions of users, the company says. “Our aim is to broaden the applicability and usability of scannable codes so that users can easily be connected to additional services and content, as well as to create multiple gateways and touch points into our ecosystem via any mobile device, any time, anywhere,” Alibaba CEO Daniel Zhang explains.